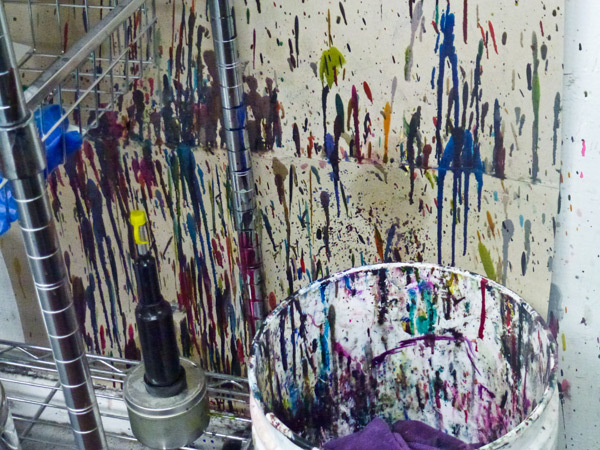 This is where inky washup trays get cleaned as we change colors. Somehow the mess is fascinating with all the different colors making an explosive rainbow. This entry was posted in Ephemera and tagged ink, letterpress fun, letterpress print shop by Carrie Valenzuela. Bookmark the permalink.